The tiny South American nation of Uruguay remains relatively unknown to much of the world beyond its formidable soccer prowess. 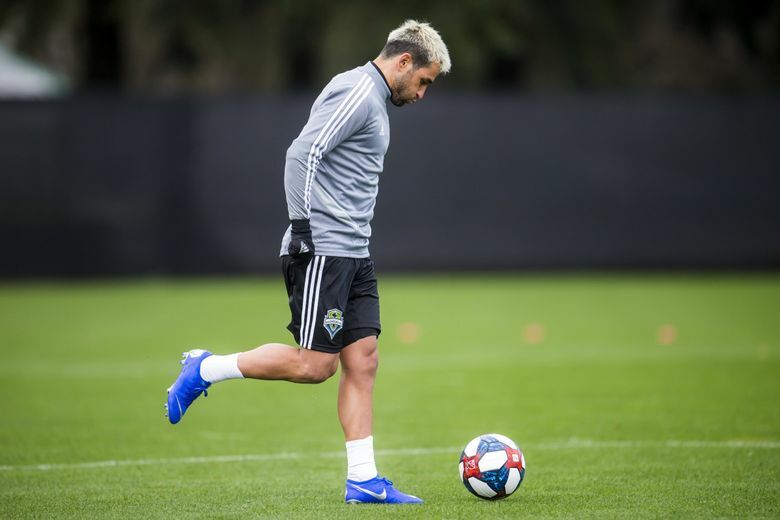 And the best of its club teams, where Nicolas Lodeiro got his start, is in town Wednesday night to face the Sounders in a friendly at CenturyLink Field. A small ferry terminal just blocks from the stadium where Sounders midfielder Nicolas Lodeiro once played professional soccer in Argentina gets you to his native Uruguay in just over an hour by boat. But despite their proximity, the South American nations remain worlds apart on the global recognition scale, with flashy Argentina constantly overshadowing and out-hyping its tiny Uruguayan neighbor. Argentina, after all, is where Madonna sang glamorously from a palatial Buenos Aires balcony in the blockbuster movie “Evita’’ while Uruguay’s most notable Hollywood moment depicted true-life plane crash survivors from one of its amateur rugby teams resorting to cannibalism in the Andes mountains. For many in the U.S., as with much of the world, the only other thing they’ve ever heard about Uruguay comes from the soccer pitch – where its sides captured two of the first four FIFA World Cup tournaments and have gone on to a record 15 South American titles. And on Wednesday night at CenturyLink Field, the most decorated Uruguayan club team ever, Nacional, plays a friendly against the Sounders and team captain Lodeiro, who made his pro debut for the visitors a dozen years ago as a teenager. Nacional is a three-time Copa Libertadores winner as the South American club champion, the most recent one coming in 1988 – a year before Lodeiro was born – while losing in the final of three others. It’s also won a record 46 Uruguayan titles — four of them since the 2010-11 season – and was a finalist last year. Growing up in the border town of Paysandu, Lodeiro was made well aware of the team’s illustrious history and of Uruguay’s soccer feats as a nation, especially in relation to what Argentina has accomplished. Of course, the exploits of neighboring Argentina are just as grand and somewhat bigger of late – having won their two World Cup titles in 1978 and 1986 and since been a finalist in 1990 and 2014. But given Uruguay’s entire population of 3.45 million is roughly a quarter the size of just the city of Buenos Aires alone, Lodeiro and his countrymen feel they’ve more than held their own. And while Uruguay does boast a top-notch beach resort, wonderful colonial architecture and a famed Chivito sandwhich national dish — often referenced as a “heart attack on a plate” — most of its residents would undoubtedly stick with soccer as their top source of national pride. And Lodeiro lived that dream with Nacional, starting at age 14 when he went to play for its youth academy in Montevideo and spent three years alongside Luis Suarez, who would go on to become one of the world’s top players. Four years later, Lodeiro made his pro debut for Nacional’s first division side. He scored his first career goal on Dec. 1, 2007 in the 80thminute to give Nacional a 1-0 win over their Progresso rivals. Lodeiro counts that goal, as well as his pro debut and winning the Uruguayan title in 2008-09, as his most cherished Nacional moments. The championship came in a 2-1 victory over Danubio in which Nacional scored a pair of second half goals to rally from a 1-0 deficit. “I got to celebrate it with my Dad,’’ said Lodeiro, whose father, Alfonso, passed away two years later at age 56. Lodeiro later moved on to play for Ajax in The Netherlands and then the Boca Juniors in Argentina before moving on to the Sounders in 2016. While he’ll likely see playing time on Wednesday, the Sounders won’t field much of an A-level lineup for very long. The team has been on a Saturday-to-Saturday schedule during a winless preseason and coach Brian Schmetzer will try to keep focused on that with a game at San Jose this Saturday and the season-opener at home seven days after that. “It will be a mix of guys,’’ Schmetzer said. Some regulars that could see extended action include left back Nouhou, trying to get game-fit after missing the early part of training camp with visa issues. Whether center back Roman Torres gets on the field remains to be seen after he appeared in only 45 minutes of a scrimmage against Atlanta in the early California portion of the team’s camp. Torres didn’t play after that and remained in Seattle to continue training rather than staying with the team in Arizona for the remainder of warm weather workouts. Torres is currently third on the center back depth chart behind Chad Marshall and Kim-Kee-hee. He wasn’t thrilled about his usage late last season – the Sounders have since held exploratory trade talks with teams but they apparently haven’t gone far – and was given permission to remain in Seattle to gather himself. Schmetzer needs Torres on-board for what will be a busy, compacted schedule the first two months of the season requiring plenty of squad rotation. After Tuesday’s practice, Schmetzer downplayed any rift and said Torres being on-hand is evidence things are fine. Schmetzer feels his team is otherwise progressing and healthier than at this time a year ago coming off a shortened off-season and heading in to early CONCACAF Champions League play. Korean defender Kim agreed Tuesday, saying the abundance of returning players appears in-sync and ready to start stronger than last season.